In contravention of constitutional provisions, Vice President Yemi Osinbajo illegally approved the release of the sum of N5, 865, 671, 939.26 in June 2017 from the Consolidated Revenue Fund Account which was mismanaged by the National Emergency Management Agency (NEMA), a report by the House Committee on NEMA has stated. The report, whose recommendations were based on findings from a thorough investigation by the Hon Ali Isa J.C House Committee on Emergency and Disaster Preparedness was adopted by the House of Representatives after being considered in the Committee of the Whole Thursday. The House noted that the authorisation of the release of the fund for emergency food intervention of food security in the North East contravenes Section 80(4) of the 1999 Constitution as amended states that, “No money shall be withdrawn from the Consolidated Revenue Fund or any other public fund of the federation, except in the manner prescribed by the National Assembly”. Similarly, it also breached the provision that the National Assembly must approve all issuance of Euro Bond from which the minister of Finance and the Accountant General of the Federation directed the Central Bank of Nigeria to pay from. The funds were paid as follows for supply of food items: Dangote Rice Ltd N936, 196, 800; Golden Agric Input Ltd N1, 384, 554, 236; BUA Rice Ltd N1, 322, 273, 520; WACOT Ltd N453, 674, 296; WACOT Ltd N939, 946, 089; NEMA N829, 026, 456. The lawmakers agreed that the authorization granted for the withdrawal of such huge sum of money from the Consolidated Revenue Fund Account was highly flawed and had infractions on Section 80(2) of the Constitution and Section (2) of the Procurement Act, as well as provisions of the Appropriation Act, did not follow due process as taxes and interest accruable to the government were not deducted or remitted to FIRS and no meeting held by the Federal Executive Council to approve the contracts. Furthermore, the funds were credited directly to the individual banks of the companies and NEMA bank account, a violation of the approval limit allowed by law. Out of the N5.8 billion, NEMA got N829, 026, 456 for logistics and claimed it spent N369.5 million on general logistics, N189 million on branding and packaging, N248.6 million on branding and packaging and N21.9 million on contingency. They, therefore, called for the dismissal and prosecution of the director general of NEMA, Engr Mustapha Maihaja over fraud, corruption and embezzlement of N33 billion Emergency Intervention Fund, as well as all the government officials involved in the approval, processing, release and diversion of the fund; that the Central Bank of Nigeria, being a banker to the federal government should not have been involved in giving loans to private companies and as such, ahould be investigated for the N2 billion loan said to have been given to four named companies. (1) Release of N5, 865, 671, 389 and N3, 153, 000, 000. 00 emergency food intervention of food security in the North East in 2017 (2)6, 779 metric tonnes of rice donated by the Chinese government to IDPs in the North East (3)Payment of about N800 million demurrage on the donated rice (4) over 10 billion naira, being 20 percent statutory ecological funds released between January 2017 to February 2018 to NEMA (5)Federal Government’s N1, 600, 000, 000to 16 states in July 2017 for Flood intervention(6) Over N1.6 billion released to NEMA for evacuation of Nigerians stranded in Libya in 2017 and other ancilliary issues; N33 billion naira was lost by the federal government due to Maihaja’s mismanagement and outright embezzlement of funds. The House, therefore, asked President Muhammadu Buhari to relieve the director general of NEMA of his duties and hand him over to relevant authorities for prosecution. They also called on the relevant agencies to conduct further investigation on NEMA, Ministry of Agriculture and Ministry of Budget and National Planning in order for them to account for the 6, 779 metric tonnes of rice donated by the Chinese government for the benefit of IDPs in Nigeria but was never received by the beneficiaries and prosecute all found wanting, recover the multiple transaction of N800 million demurrage from the ministry of Budget and National Planning, Ministry of Agriculture and NEMA and that the six staff of NEMA who were suspended for their testimonies before the investigative committee be reinstated. On the issue of receipt and utilisation of N1.6 billion for flood victims in 16 states, the House Condemned the display of insensitivity to the plight of flood victims showed by NEMA management in the handling of the relief materials and called on ICPC and EFCC to further investigate the matter and recover the sum of N700m from the director general of NEMA, who is the accounting officer of the agency. The House of Representatives in Plenary on Thursday, 15th February, 2018, mandated the Committee on Emergency and Disaster Preparedness to investigate the alleged “Violation of Public Trust in National Emergency Management Agency (NEMA)” and report back to it for further legislative consideration. In furtherance to the above Resolution contained in the Votes and Proceedings of the House, dated 15th February, 2018, the Committee adopted the following terms of reference to determine the propriety or otherwise of the transactions undertaken and expenditures incurred in the following areas of concern by management of NEMA. (iiii) All submissions/documents received at the hearing were objectively scrutinized and analysed for informed findings and recommendations to the House for adoption. The Committee conducted investigative hearing on the matter. The well-attended hearing was officially declared open on Wednesday, 21st March, 2018, by His Excellency, the Honourable Speaker of the House of Representatives, Rt. Hon. 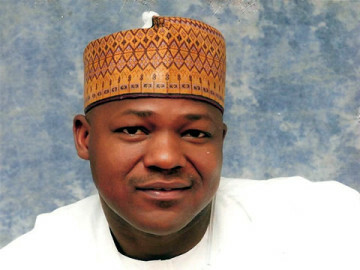 Yakubu Dogara who was represented by the House Leader, Rt. Hon. Femi Gbajabiamila. The Committee conducted the investigation over a period of three months in 11 Public Sitting with various stakeholders. - Golden Agric Input Ltd.
- 3 Brothers Nig. Ltd.
(xv) SEMA (16 states affected by the flood and 5 out of the 6 states of the North East). A. DONATION OF 6,779 METRIC TONS OF RICE BY CHINESE GOVERNMENT FOR IDP’S IN THE NORTH EAST. - That the Chinese government donated and shipped a total of 6,779 metric tons of rice, that is 271 trucks and approximately 162,696 bags of rice into the country’s seaport in June 2017 meant for distribution to IDPs in the North-East as food assistance. - That the government Agencies namely – Ministry of Budget and National Planning, Ministry of Agriculture, Ministry of Finance and NEMA were charged with different responsibilities of receiving, clearing, storage, transportation and distribution of the consignments to the IDP’s in the North East. - That more than one year after the goods were donated, there is no evidence that the 6 States of the North East, who are the beneficiaries have received the items. - Evaluation of the correspondences by the Chinese government on the free donation of the items and responses by the Federal government Agencies confirmed that there was adequate information on the donation, as an Memorandum of Understanding (MOU) was entered into by all the parties indicating the role to be played by each Agency. But the rice could not be evacuated over long period of time at the seaport despite written letters by Chinese Government to Ministry of Budget and National Planning after an import waiver had been obtained from Ministry of Finance, informing the Nigerian authorities of the consequences of the delay in clearing the items. - The Federal Government paid about N800 Million as demurrage to APM terminal and Maersk Line for the consignment due to delay arising from inability and negligence on part of NEMA, Ministry of Agriculture, Ministry of Finance and Ministry of Budget and National Planning to secure the items as at when due. - APM Terminal provided invoices on the demurrage showing payment by Ministry of Agriculture but NEMA testified it made the payment. NEMA could not however, provide before the Committee evidence of payment to APM terminal but the payment reflected in their account book. - Ministry of Budget and National Planning was to provide the funding for the clearing, transportation of the rice, handling and logistic charges as agreed in the Memorandum of Understanding signed by the Government Agencies. - Ministry of Agriculture was responsible for providing silos for the storage of the rice. - The Ministry of Agriculture confirmed to the Committee that no single bag of the consignments was delivered and received from NEMA as at the time of this report. - Global View Logistics Ltd and Baltic Air and Maritime Services Ltd engaged to clear the rice were not registered contractors with NEMA, the Companies were equally not registered with ITF, NSITF, and PENCOM, as required by existing law, practice and Regulations. The 5 State governments in the North-East except Borno State who did not appear before Committee, denied receiving any single bag of rice from the consignment purported to have been delivered and distributed to the IDPs by NEMA. - Due to the testimony of the Director of Finance and Accounts (DFA) and some staff of NEMA on payment of demurrage which the management was not comfortable with, NEMA management hurriedly convened a Governing Council meeting of NEMA for the first time in 3 years where it took a decision to suspend the Director of Finance and 5 other staff of the Agency without due process and in flagrant violation of the principle of fair hearing as guaranteed under Section 36 of the 1999 Constitution as amended. - The suspension took place on 2nd April, 2018 which was the date of the inauguration of the Council Members by the Vice President. This was done within the period of investigation by the Committee, and intended to jeopardise and obstruct the work of the Committee. - The ratio of distribution of the fund for each State is N100,000,000.00. - The Committee further confirmed that 11 of the States received relief items worth less than N50,000,000.00 each while 5 States received items worth N70,000,000.00 each from NEMA and only received the items in March 2018 when the investigative hearing commenced. - The relief materials released was an afterthought and not intended to salvage the situation as the disbursement happened 9 months after the flood disaster. Thereby defeating the emergency purpose for which it was meant. - NEMA could only account for the disbursement of N900 Million to the Sixteen States. The balance of N700 Million could not be accounted for. - On the emergency intervention of food security to the North-East to support the population ravaged by insurgency, a sum of N5,865,671,939.26 was approved and released in June 2017 vide a memo raised from the Office of the Acting President, directing the Hon. Minister of Finance and the Accountant General of the Federation to so act. The details further specified a directive to the Governor of CBN from the Ministry of Finance to pay the sum from the Consolidated Revenue Fund Account which the AGF is to raise a mandate for. This is in contravention of approval of NASS on the issuance of Euro Bond from which the Hon. Minister authorized the payment. The Euro Bond is for specified infrastructural projects and not for discretionary intervention. Furthermore, there is no specific appropriation by the National Assembly. “No money shall be withdrawn from the Consolidated Revenue Fund or any other public fund of the Federation, except in the manner prescribed by the National Assembly”. - Committee noted the flaws and infractions on the authorization granted and removal of such huge sum of money from the Consolidated Revenue Fund Account of the Federation in violation of section 80(2) of the Constitution, Section 16(2) of the Procurement Act and provisions of the Appropriation Act as approval of the Legislature was not sought nor obtained for such expenditure. - Due process was not followed as taxes and interest accruable to government were not deducted and remitted to the FIRS on the sums released and paid into the accounts of the different corporate entities shown above, this created colossal loss of revenue to the Federal Government. No meeting of the Federal Executive Council was held approving the contracts to the named companies and the release and crediting of the funds directly into the individual companies and NEMA bank account in blatant violation of approval limit allowed by law. - It was revealed in the Public Hearing testimonies that Dangote Rice Ltd, WACOT Ltd, BUA Rice Ltd and Golden Agric Input Ltd had earlier received N2billion each from CBN as loan to mop up grains across the country. - All the 6 States of the North East denied ever receiving this emergency intervention for food security in the North East for which about N5.8b was expended by the Federal Government. - The Committee noted that NEMA released 2.4 Billion Naira to Olam Nigeria Limited to supply 8,000 metric tons of rice, gave 3 Brother Rice Mill Limited the contract to supply 2,000 metric tons of rice at N600,000,000 and N153,160,000 for logistics and transportation of the items, all totaling N3,153,000,000.00. - Committee observed that Olam Nigeria Limited and 3 Brother Rice Mill Limited were contacted verbally by Ministry of Agriculture to go to NEMA for the jobs without due process. - The contract award letters issued to Olam Nigeria Limited and 3 Brothers Rice Ltd were all signed by the Ag. Director of Relief and Rehabilitation and not by Director of Procurement in contravention of Public Procurement Act. - The same Ag. Director of Relief and Rehabilitation who was saddled with the responsibilities of receiving the items and distributing them, signed the award letters without the knowledge of the Procurement Department. This is tantamount to breach of the Procurement Act. - Evidence before the Committee showed that the World Food Programme (WFP) sought to import and supply 5000 metric tons of rice to the North East, at the rate of N11,500 per bag which is cheaper than the N15,000 per bag offered by local Nigerian millers. However, the Committees findings indicate that the concerned Federal Government agencies namely Federal Ministry of Agriculture and NEMA offered to subsidise the purchase locally, at the same rate of N11,500 to World Food Programme to discourage importation and encourage local production. - NEMA now claimed to have donated the 5000 metric tons of rice to WFP instead of allowing WFP to purchase same and distribute to the North East. There is no evidence that the WFP received the 5000 metric tons as donation from NEMA, as the approval of N3.1billion was for NEMA to purchase the rice and distribute same to the victims of insurgency in the North East, as WFP did not provide the Committee with such evidence after repeated requests. - Both companies, Olam Nigeria Ltd and 3 Brothers Rice Mill Ltd, were illegally contracted to carry out the supplies as their profiles showed that they had no PENCOM, FIRS, ITF and NSITF Clearance Certificates in compliance to Section 16 of the Public Procurement Act. - The data of 3 Brothers Rice Ltd sighted by the Committee did not tally with registration name “Three Brothers Rice Mill Ltd” approved by Corporate Affairs Commission which means NEMA gave contract to a non-existent entity. Therefore the contract awarded to both Olam and 3 Brothers were in violation of the Procurement Act. - Committee confirmed that the sum of N1.6Billion was released to NEMA for the evacuation of Nigerians stranded in Libya in year 2017. - The Committee also discovered that contract awarded under this exercise were inflated. - In the course of the investigations, the Director-General of NEMA, Eng. Mustapha Yunusa Maihaja, gives account of expenditure as the N1.6Billion to include evacuations, security personnel logistics and local transport. - The Committee established that 20% of the Statutory Ecological funds are released to the National Emergency Management Agency on monthly basis. This is in compliance with Section 13(2B) of the NEMA Act. - It was discovered that from January 2017 to May 2018 the total amount released and or received by NEMA is to the tune of N17Billion. - Furthermore, NEMA incurs expenditure from the fund without going through statutory appropriation approval from the Legislative Arm of Government. - The Committee noted that the failure of the Governing Council of NEMA to forward the details of the amount released to it to the National Assembly for Appropriation, consideration by the Legislature and passage is a gross violation of the provisions of the Constitution. - Due process was also not followed by NEMA on the contract sums as the Director General exceeded his approval threshold for both capital and recurrent expenditure. Withholding and Value Added Taxes accruable to government for contracts executed were not remitted to FIRS; thus, resulting to loss of revenue by Government in violation of Section 16 (1&2) of National Emergency Management Act CAP N34 LFN 2004. (i.) that the House condemns in strong terms the negligence and inefficiency of the Ministry of Budget and National Planning and National Emergency Management Agency (NEMA) for the long delay in collection of the donated rice from the Port Terminal. (ii) that NEMA and the Federal Ministry of Agriculture, Ministry of Budget and National Planning should account for the 6,779 Metric tons of Rice donated to Nigeria Government for the benefit of IDP’s in the 6 States of the North East by the Chinese Government but was never received by the beneficiaries. The ICPC, EFCC and Nigeria Police Force (Police) should conduct further investigation and prosecute where necessary. (iii) that the ICPC, EFCC and Police should ensure recovery of the payment of about N800m demurrage from the concerned officers of the Ministry of Budget and National Planning, Ministry of Agriculture and NEMA. They should further investigate the conflicting testimonies of the above agencies and determine whether there was multiple payment transaction for the demurrage. (iv) that the suspension of six staff of NEMA by its management is an abuse of power, against the extant public service rules and a gross violation of Section 36 of the 1999 Constitution as amended. It is also a privileged communication under the Legislative Houses (Powers and Privileges) Act, any person that obstructs a witness before a legislative House is also guilty of contempt of parliament. (i.) that the House condemns in its entirety the display of insensitivity to the plight of flood victims showed by NEMA management in the handling of the relief materials. (ii) that the ICPC and EFCC should further investigate the matter and recover the sum of N700m from the Director-General of NEMA, Engr. Mustapha Yunusa Maihaja, who is the Accounting Officer of the Agency. (i.) that all the government officials involved in the approval, processing, release and diversion of the sum of N5.8billion for the emergency intervention of food security in the North East, which contravened the provisions of S.80(2) and 80(4) of the Constitution, infraction of due process for procurement and loss of government revenue, flouting of the terms of the Eurobond loan are hereby indicted and the relevant Security Agencies should take steps to recover the money from them. (ii.) that the Central Bank of Nigeria (CBN) being a banker to the Federal Government should not be involved in giving loans to private companies. Consequently, the N2billion said to be given to four named companies is a fundamental infraction and should be further investigated. (i.) that ICPC and EFCC should recover N1,150,000,000.00 being subsidised cost of 5000 metric tons of rice from the present Director General of NEMA, Eng. Mustapha Yunusa Maihaja, who claimed to have donated same to World Food Programme (WFP) when they were ready to pay for it or import same. (ii.) that in view of the fact that there is evidence that the balance of 5,000 metric tons claimed to have been supplied by Olam Nig. Ltd and 3 Brothers Nig. Ltd at the cost of about N1.5billion to NEMA was not received by the States of the North-East, the money should therefore be recovered from the Director-General, NEMA. (i.) that Federal Government should make available adequate funds to the relevant agencies of government for the rehabilitation of those Nigerians evacuated from abroad, in order to prevent them from going back. (ii.) that the process, procedure, method and cost of evacuation of Nigerians stranded abroad is opaque and should be made more transparent in order to ensure better accountability. (i.) that NEMA should submit through the appropriate authority all the Ecological funds accruing to it yearly to the National Assembly for Appropriation in order to meet the Constitutional requirements. (ii.) that a comprehensive investigation into the receipt and utilization of 20% Ecological Fund to NEMA over the years be carried out by the House. 7. From the investigation conducted by this Committee it has been established that the Federal Government of Nigeria lost a total sum of over N33 Billion Naira as a result of mismanagement or outright embezzlement of funds occasioned by the actions or inactions of the Managing Director of NEMA, Engr. Mustapha Yunusa Maihaja . It is hereby consequently recommended that the Director General of NEMA, Engr. Mustapha Yunusa Maihaja, be relieved of his duties by Mr President, Commander in Chief, Federal Republic of Nigeria and handed over to relevant authorities for prosecution. The Committee expresses its appreciation to the Leadership and Members of the House for the opportunity given to us to serve, as we pledge our unflinching support to the House leadership.